Our MSc International Real Estate Investment and Finance course is designed for those wishing to pursue a career in the real estate investment and finance business in international markets. It focuses on real estate markets and institutions, appraisal, finance, and investment and development valuation. 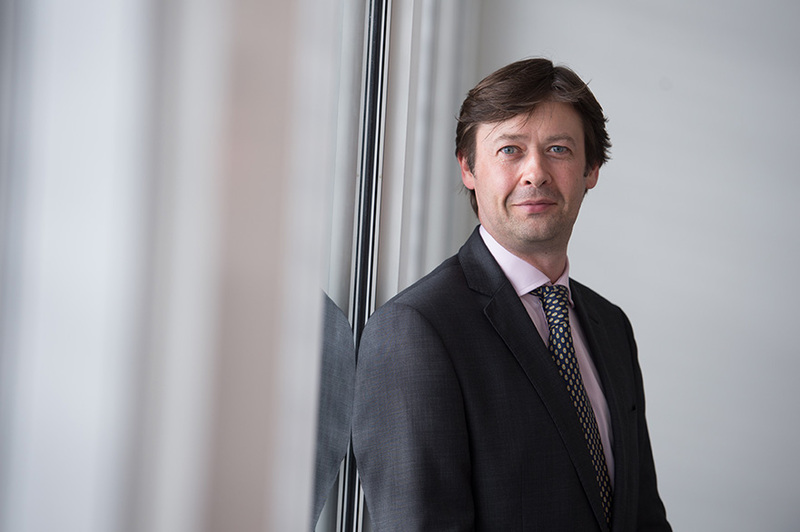 It will develop the skills and abilities necessary on the advisory side as a Chartered Surveyor, or on the client side working for investors. This course is aimed at professionals and gradates wishing to pursue a career working internationally in the field of property investment and finance, on route to Chartered Surveyor status. It's suitable for prospective students who don't necessarily have a background in property or construction, acting as a fast-track conversion course for those with an unrelated undergraduate degree (or professional qualification) to obtain an accredited route into the industry. In addition, this course is suitable for property and construction professionals working in industry, who wish to operate in international markets. Study at one of the UK's largest and most established providers of property education; NTU is ranked 2nd in the UK for Building and Town and Country Planning (Guardian University Guide 2019) and our network of alumni within the property profession is extensive and wide-ranging. Our flexible study options support part-time learners, who wish to balance employment with further study. Study trips to live sites in the UK and abroad are included in your course fees, designed to help develop your understanding of theory in practice. Previous study trip destinations have included Budapest and Frankfurt. Have the option of taking a professional or industrial internship, which counts towards your Masters qualification. See the 'What You'll Study' section for more information. Learn from expert academic staff, who have established links to industry and significant industry experience. Have the opportunity to work with an industry mentor - often an NTU alumnus. In previous years, these relationships have led to work experience and employment. Hear from visiting industry and academic experts, some of whom are NTU alumni, who will be teaching parts of the modules, providing a ‘real life’ perspective on the topics you will be studying. 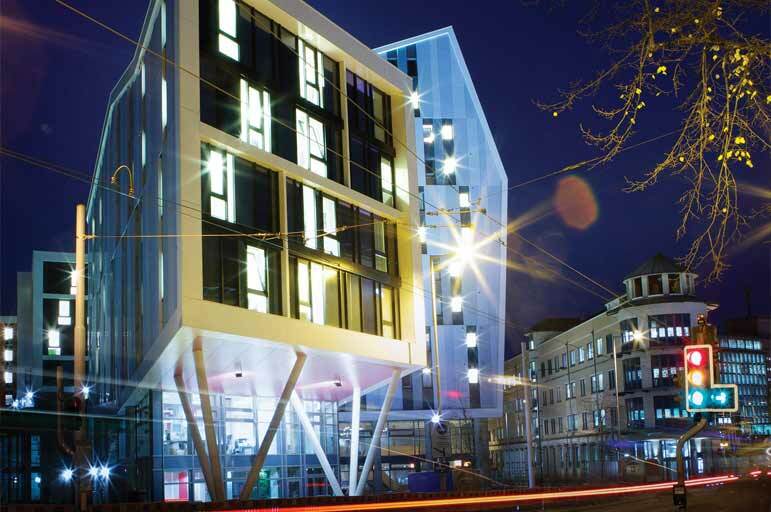 Benefit from modern facilities and inspiring learning spaces, in the heart of Nottingham's city centre. Our location in the centre of the UK allows for easy travel to many major cities, enabling you to benefit from networking events and employability opportunities. Not sure which course to choose? Take a look at our course comparison table to help find the right postgraduate property management and development course for you. 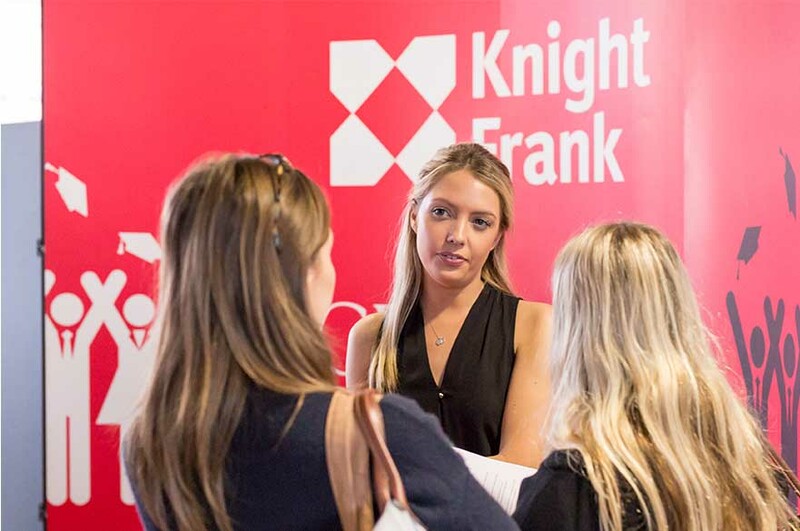 Find out how our Property, Design and Construction Fair helps our Property Management students network with some of the largest graduate recruiters in the country. This course has a strong emphasis on real estate investment, valuation and finance issues with particular regard for an international context. The course is formed of eight core modules, six of which are shared with other Masters level property management courses. You'll be able to choose between a further two optional modules, offering the opportunity to pursue research or to undertake a work placement in industry. Your modules will total 180 credit points. The modules' credit points are weighted based on the total time you can expect to spend studying the module content, both in terms of contact hours and non-contact hours. The growth of real estate investment internationally and the opportunities for the international investment in real estate are key factors behind the transformation of the commercial real estate industry over the past 30 years. The aim of this module is to support understanding of the institutional context within which property markets operate around the world. This module will examine market institutions and structures that underpin and enable the development of investable international real estate markets. This module will enable you to develop your knowledge, understanding and skills of valuation and appraisal of real estate. It's concerned with both existing operational and investment properties, and development opportunities focusing on commercial property. It will provide you with an understanding of UK valuation and appraisal theory and practice, together with an international perspective on the topic. The valuation aspect will be concerned with estimates of market value, in accordance with international valuation standards. Investment and development appraisals will be concerned with the notion of investment value - value to the investor or developer. In this context, appraisal encompasses a thorough consideration of financial performance and risk analysis, and includes the application of a range of valuation and appraisal techniques. The aim on of this module is to analyse the performance of international property markets considering their interaction with the wider economy of individual cities and countries, and what this implies for real estate investment decision making. Policy impacts on performance will also be considered from environmental legislation to housing policy. This module will enable you to evaluate economic theory within the context of real estate and construction markets, and where necessary to propose the creation and application of alternative approaches to market analysis and evaluation. This module will also develop your ability to evaluate and analyse how the real estate and construction professions operate and interact within the industries. After studying this module, you will be able to identify and analyse industry-wide problems based on an understanding of the market structure, performance, and behaviour of the industry. This module provides an introduction to the principles, procedures and practices of commercial estate management, property agency, and Landlord & Tenant law. It will allow you to develop an awareness of the interrelationship between property, agents, asset managers and their various clients, and to consider the implications and application of leases within the property industry. You will gain an understanding of the content and structure of typical commercial and residential leases, how to write a lease synopsis, and the operation and interpretation of lease clauses.The module content will familiarise you with the key areas of property management, including rent reviews, lease renewals, dilapidations, remedies for default, service charge administration, business rating, landlord's consent, and record keeping. You will learn how to negotiate commercial property transactions and how to document an agreement in Heads of Terms. You will also learn how to place a property on the market, manage an agency instruction, and comply with relevant legislation. The key aims on this module are to introduce you to forms of Built Environment research and analysis whilst providing the opportunity for you to integrate and apply the professional knowledge and skills that you will develop during the course of your MSc studies in to a real or simulated task or activity. The assessments that you will undertake will comprise of one individual and one group based element. The first assignment will enable you to develop your research skills whilst assessment two will take the form of a reflective report based on your own research and the practice based scenario. The practice based element may be informed and supported by a period of industry placement or work based experience, or residential field activity involving industry engagement. In this module, you will examine the strategic management of real estate as an investment asset. This will include examination of the characteristics of real estate as an investment asset, and the operation and performance of real estate investment markets. Throughout the module, real estate is considered in the wider context of the characteristics of other investment assets and the operation and behaviour of investment and financial markets. You will examine the characteristic and operation of both commercial and residential real estate investment markets. You will have the opportunity to evaluate a pluralist approach in considering the development of theory, in particular to critically evaluate the dominant traditional finance paradigm, with reference to the development of behavioural finance. In this module will enable you to understand the economic issues relative to real estate funding mechanisms, the structure of capital and real estate markets, and ways these markets operate. This module will introduce you to economic and financial concepts, describe the economic behaviour and characteristics of real estate markets, and show the links between real estate and the economy. You will examine the role of funding infrastructure and apply economic concepts to an analysis of residential and commercial property markets and the relationship between the macro-economy, real estate market performance, and financial stability. You will be required to specify a research question, which will examine the connections between theories and principles, business or industrial practice and research in the context of your course. You'll own and manage your own significant independent academic enquiry, which will be reported in the form of a postgraduate dissertation. Alternatively, you may, with the agreement of the module leader, undertake a consultancy project. However, the work must still meet the learning outcomes of the module and demonstrate application of the methodological principles of research. An investigation for your consultancy project may have been pre-identified or pre-constructed in your work environment, and framed around an issue of organisational relevance. Key relevant data may be readily available within your workplace and the outcome of the enquiry may have direct relevance to your employing organisation, or to the real estate and/or construction profession. It is important to note that a consultancy project will still require a substantive critical literature review, and consideration of methodological choices and approach, and is not simply a typical commercial consultancy report that might be produced for a client. Normally you will implement your research proposal, which you will develop and hand in towards the start of this module. You will undertake a literature review appropriate to the selected topic and develop and apply a relevant methodology and research design. The results of your research will be described, analysed, evaluated and discussed with reference to the literature review. You will be required to draw conclusions and make recommendations for both professional practice and further research. You will not be required to make an original contribution to knowledge to succeed, but you will be required to demonstrate rigorous application of research processes to your selected topic. In addition to your final dissertation/consultancy project report, you will be required to prepare a critical and reflective commentary and evaluation. Your reflective commentary will encompass the experience gained throughout your research, development of your professional and academic skills arising from the dissertation/consultancy project, and assessment of your ongoing development needs; as part of this you should produce a personal professional and academic skills development plan. By choosing this option, you will be required to complete a period of programme relevant internship (minimum 150 hours) and an associated research-based enquiry examining connections between theories, principles and practice; business, commercial, industrial, and professional practice and research, in the context of your course and field of internship. Your Practice Research Enquiry will be reported in the form of a professional report; it is expected that this report will be underpinned by rigorous and critical examination of literature within the field. This enquiry may be based around a topic that has been pre-identified and possibly partly pre-constructed in your internship environment, and framed around an issue of organisational relevance to the internship provider. Key relevant data may be readily available from or through the internship and the outcome of the study may well have direct relevance to the internship provider (although this is not a requirement). It is important to note that this study will require a focused critical literature review, and critical consideration of methodological choices, options and approaches. You will be required to specify the nature of your research enquiry at a formative stage of the investigation through the submission of a Practice Research Enquiry Proposal. 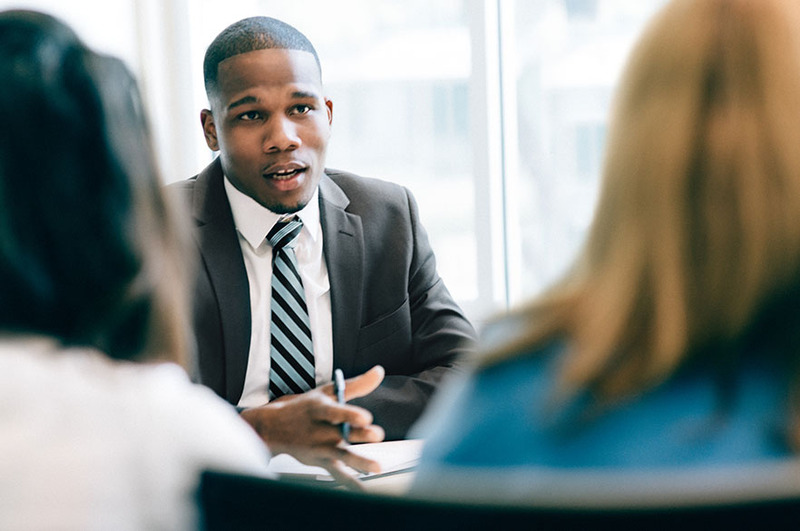 You will receive support in sourcing a placement through our Employability team, however it is your responsibility to secure your internship opportunity, and availability is not guaranteed. It is the responsibility of non-UK students to investigate the restrictions of their student visa when seeking employment in the UK. Visit the UKCISA website for the most up-to-date visa information. A wide range of teaching and learning methods are used to deliver the course content. In most modules, you'll take part in intensive sessions of key point lectures, supported by study guides, case studies and other literature. Many modules include presentations by external industry specialists and visits to live sites, to provide a real life perspective on the module content. Previous guest speakers have included Cushman & Wakefield, Savills, the President of RICS and the Head of Estates for Rolls Royce Industries. Non-contact hours include direct out-of-classroom reading and activities, and independent learning and reading is deemed necessary to achieve the learning outcomes for the course. Assessment methods include project work, independent assignments and reports, exams, work portfolios and presentations. Assignments are investigative in nature, enabling you to develop your principles, analyse, critically appraise and evaluate relevant issues, demonstrating your creativity and sustainable thinking. This course provides an opportunity for graduates from disciplines unrelated to real estate and construction to embark on a professional career in real estate. 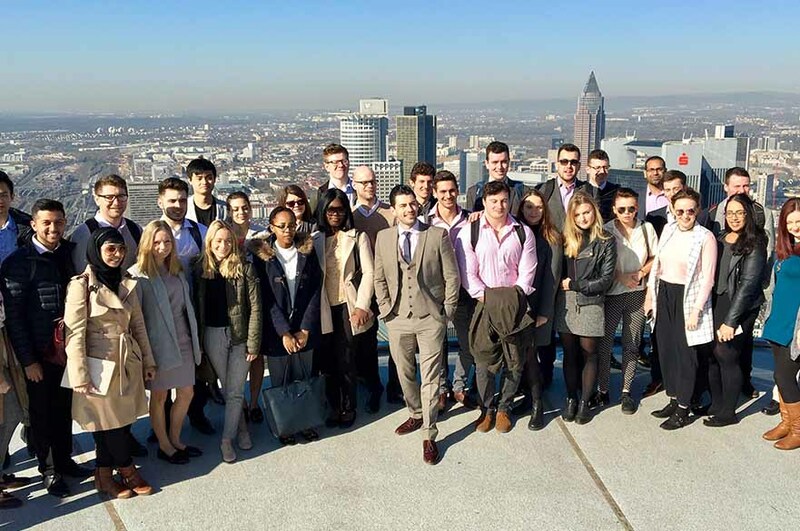 Our MSc International Real Estate Investment and Finance course has an outstanding reputation for producing employable graduates. 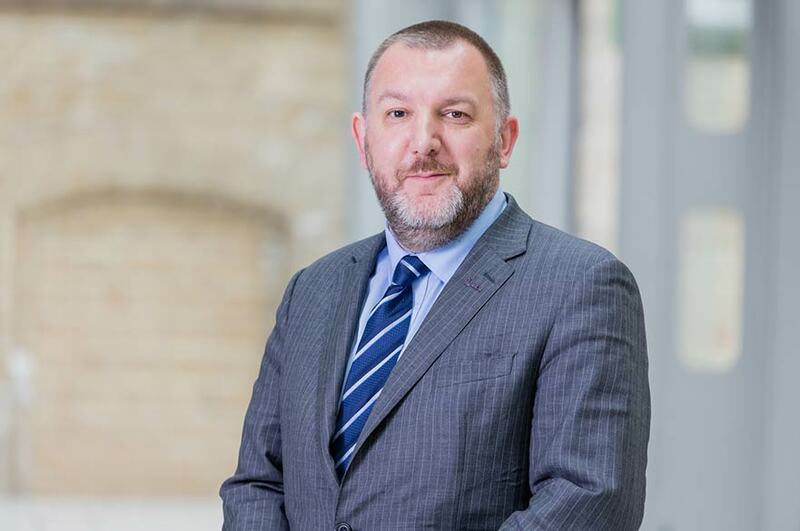 The course is accredited by the Royal Institution of Chartered Surveyors (RICS), enabling successful graduates entry to the Assessment of Professional Competence (APC) of the RICS. The APC is the on-the-job training scheme that graduates need to complete to qualify as a chartered surveyor. Find out more about how to complete your APC and become RICS qualified. Where do MSc International Real Estate Investment and Finance graduates from NTU work? Our graduates are highly regarded by employers, enjoy excellent career prospects and have gone on to work for a wide range of major national and international organisations. Recent graduate destinations include: Vinci, Transport for London, Faithful + Gould, Cushman & Wakefield, Laing O’Rourke, and Frank Knight. Roles include real estate consultant, valuation surveyor, head of facility management, director, quantity surveyor and regional director. Our expert Employability team will work closely with you at every stage of your career planning, providing personal support and advice. You can benefit from this service at any time during your studies, and for up to three years after completing your course. Throughout the year, our Employability team runs a series of events specifically for students studying in the School of Architecture, Design and the Built Environment, such as the Property, Design and Construction Fair, offering employers the opportunity to advertise roles to our students. The majority of your lectures and seminars will take place in the Newton building. industry-standard information systems and databases. Students in the School of Architecture, Design and the Built Environment have access to a dedicated resource centre. This centre, based in the Maudslay building, enables students to undertake private study in a facility equipped with computers, large format plotters and desk space, together with journals and publications – both current and archived. 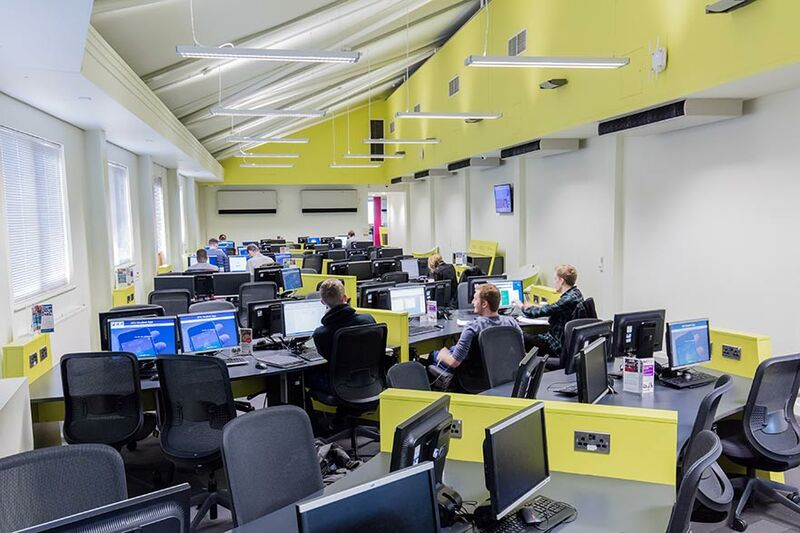 Our IT resource rooms and PC clusters are distributed across our City Campus, with PCs providing access to Microsoft Office, email, web browsing, networked file storage and high-speed online printing services, with a free printing allowance for each student. Resource rooms are available 24 hours a day. Our state-of-the-art Boots library will give you access to an extensive and diverse range of books and periodicals that focus on specialist areas within the built environment. The library's OneSearch system provides access to all our electronic resources, journals and books. Within the library there is a liaison librarian who has specialist subject knowledge and can offer detailed help in finding and using print and electronic resources, and also with areas such as Harvard referencing and research skills. 2.2 honours degree in a subject unrelated, or partially related, to real estate or construction. If you hold a first degree but it doesn't meet the entry requirements above, please refer to the information below. Applicants with non-standard entry qualifications and/or relevant experience will be considered on an individual basis. Assessment of your experience will confirm that you have achieved the necessary skills in the course of your general experience. If you need any more help or information, please email our Admissions team or call +44 (0)115 848 4200. If you’re not sure how your international qualification matches our course requirements please visit our international qualifications page. Applications to this course can be made through our NTU Applicant Portal - click on the Apply button at the top of the page to be taken straight through to the Portal. You can get more information and advice about applying to NTU on our postgraduate pages. We welcome applications from applicants without prior qualifications. However, in this instance, you must have proven experience, which demonstrates appropriate knowledge and skills at honours degree (undergraduate) standard. If you are applying without prior qualifications, you will need to submit comprehensive details of your achievements with evidence to substantiate your claim (any documentation can be uploaded to the My Documents section of the Applicant Portal). This type of application will be considered with respect to the University’s provision for ‘accreditation for prior experiential learning’. Decisions regarding the accreditation of prior learning are a matter of academic judgement. If you need more help or support, you can call our Admissions Team on +44 (0)115 848 4200, or email applications@ntu.ac.uk. There are numerous sources of funding available for postgraduate students, both from external sources such as the Government and funding bodies, and from the University. There are two main costs involved with postgraduate study: the cost of your tuition fees which is paid directly to the University, and living expenses such as accommodation, travel and food. Preparing for the financial side of student life is important, but there’s no need to feel anxious and confused about it. You might be able to get a scholarship to help fund your studies. We award scholarships to those students who can demonstrate excellent achievement, passion and dedication to their studies. Please take a look at our postgraduate funding page for information about sourcing grants, bursaries and scholarships, and much more. For more advice and guidance, you can contact our Student Financial Support Service by calling +44 (0)115 848 2494.